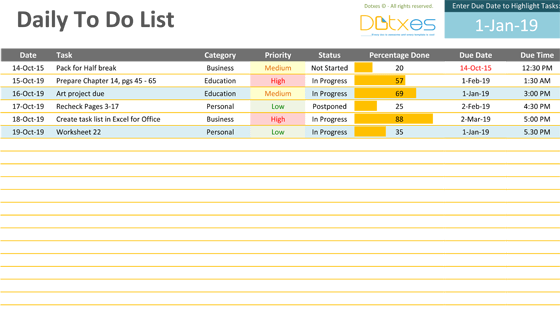 When you have a lot to get done, you need a way to track all that you have accomplished. 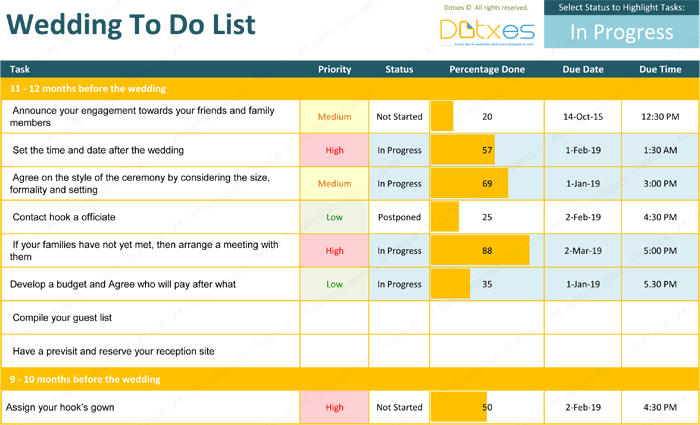 Having a to do list template helps you to stay organized and also helps you to feel more accomplished when you get things done. 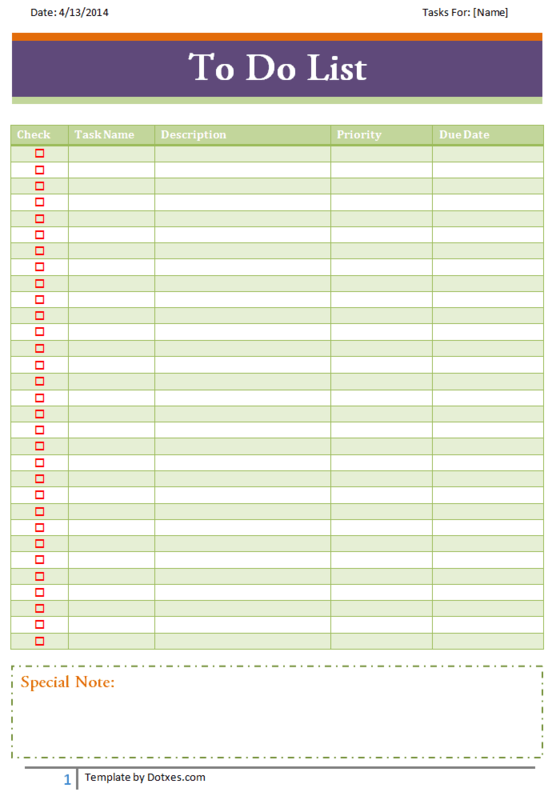 We have a to do list template that is right for you, one that will help make your life simpler. 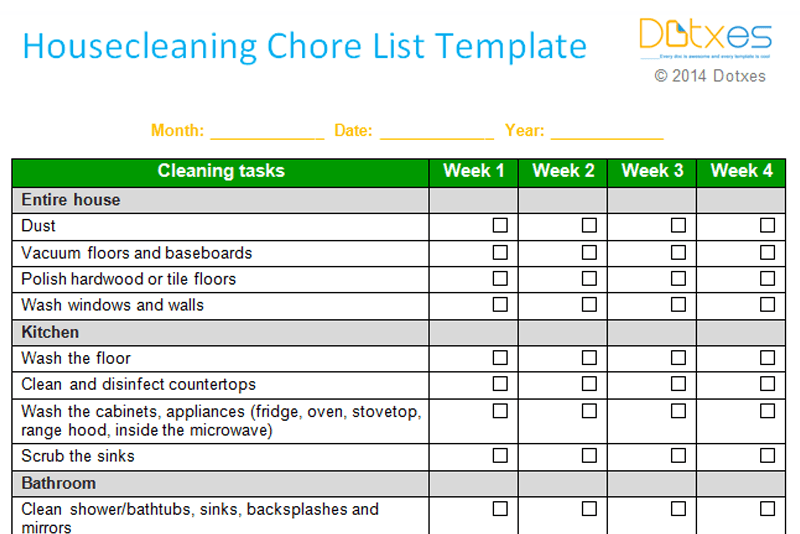 Here you will see different kind of checklist, task lists, and to do list templates. 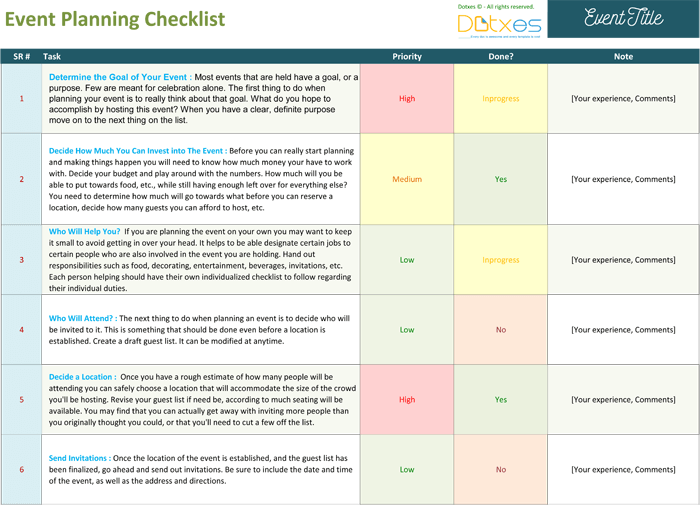 We have worked hard to provide you with all kinds of useful templates to help make your life easier. 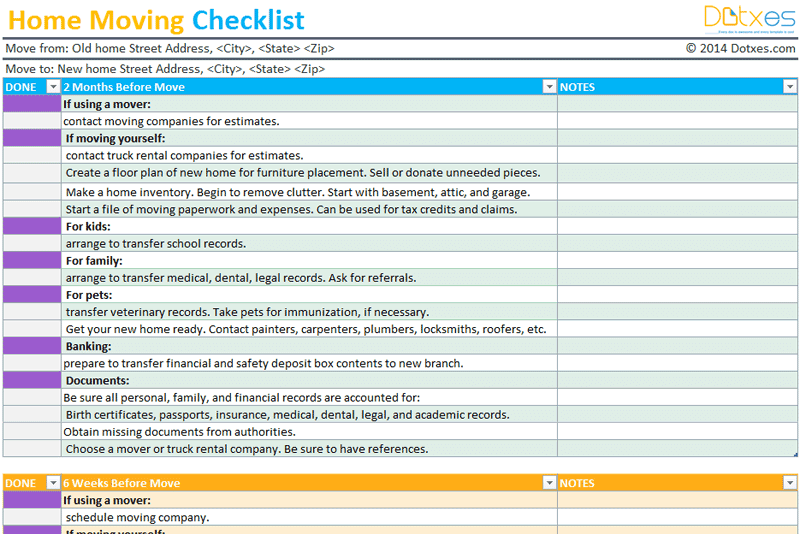 These lists were designed with you in mind, and they were created through Microsoft Office ®. These are easy to customize to your needs and they are all printable. 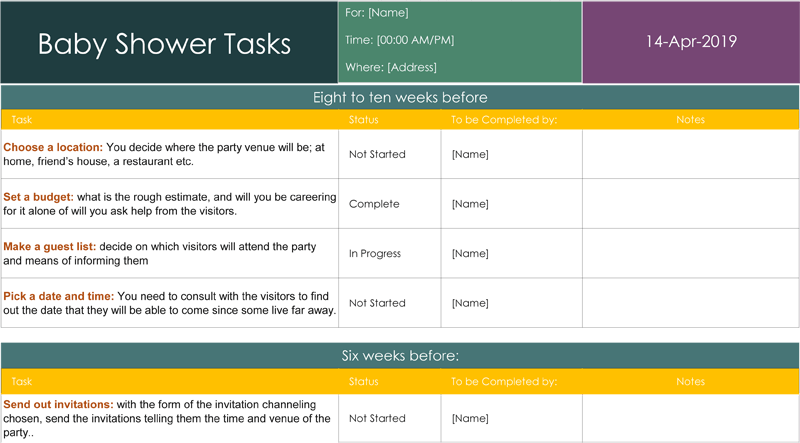 If you happen to find that you have need of another type of template that is different from the ones offered, let us know and we will create one special for you. 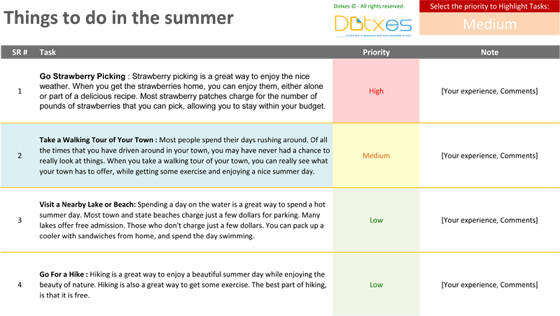 If these templates are helpful to you please give us a +1 and spread the word on your favorite social network.